Evolutionary. 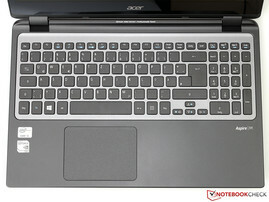 Acer takes a new approach to the familiar Ultrabook: a laptop with a touchscreen, optical drive and gaming-ready GPU. How will their "all-around device" fare in our tests? 2013 is the year for touchscreen Ultrabooks – that is what chip giant Intel and manufacturers like Asus and Acer claim. The goal is to boost the sale of Windows 8 laptops and to make these mobile devices more user-friendly. After testing the HP Spectre TouchSmart 15 and the Toshiba Satellite U920t-100, we now turn to the Acer Aspire TimelineU M3-581PTG. This test model has a chance to show what it has to offer in our in-depth review. 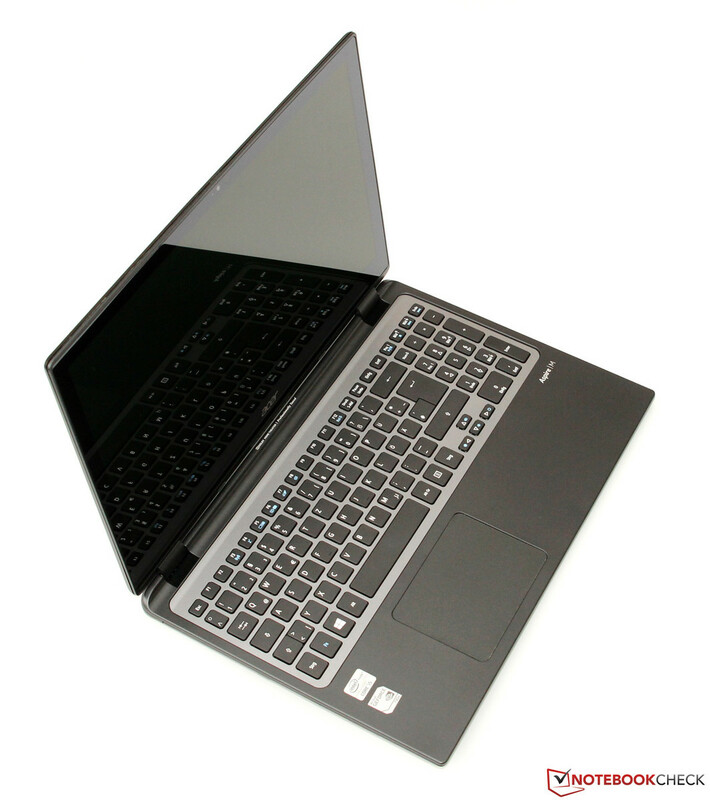 The 15-inch laptop carries a 1,000 Euro (~$1310) price tag and runs on the Intel Core i5-3337U, which, combined with 4 GB RAM and a large 256 GB SSD, ensures fluid program performance. Thankfully, unlike many of its competitors, our test model is equipped with an optical drive and a dedicated GPU. The recently released Nvidia GeForce GT 730M is ready and eager to tackle the newest games and is conservative enough to satisfy the TDP requirements of an Ultrabook. Despite all this hardware prowess, Acer promises up to 8 hours of run time. Intrigued? Let's find out more. The chassis of the TimelineU M3 is similar to its predecessor. 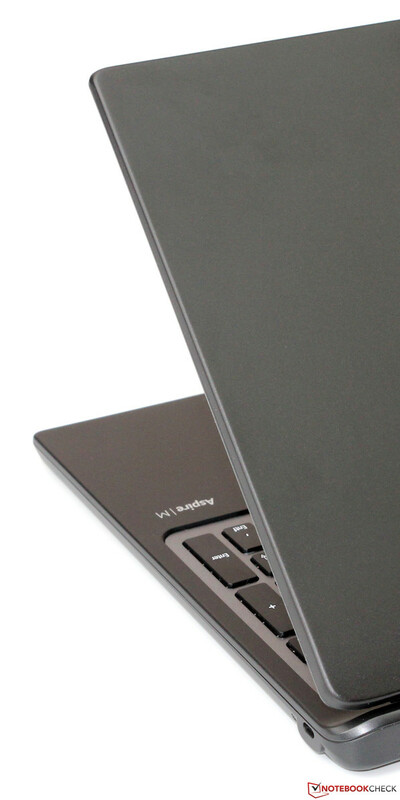 Dark black and gray tones still dominate the matte-glossy look, which gives the Ultrabook a luxurious appeal. Thankfully, the glossy surfaces are quite resistant to smudges and the user will only have to worry about cleaning off the dust that accumulates over time. A thickness of 9.7 mm (~0.38 inches) and weight of 2.3 kgs (~5.1 pounds) makes the M3 much heavier/thicker than its 13 or 14-inch counterparts - this is the price you have to pay for a larger screen. A small border (about 15 mm (~0.59 inches) - on the sides and above) frames the panel and gives a graceful touch to the TimelineU. 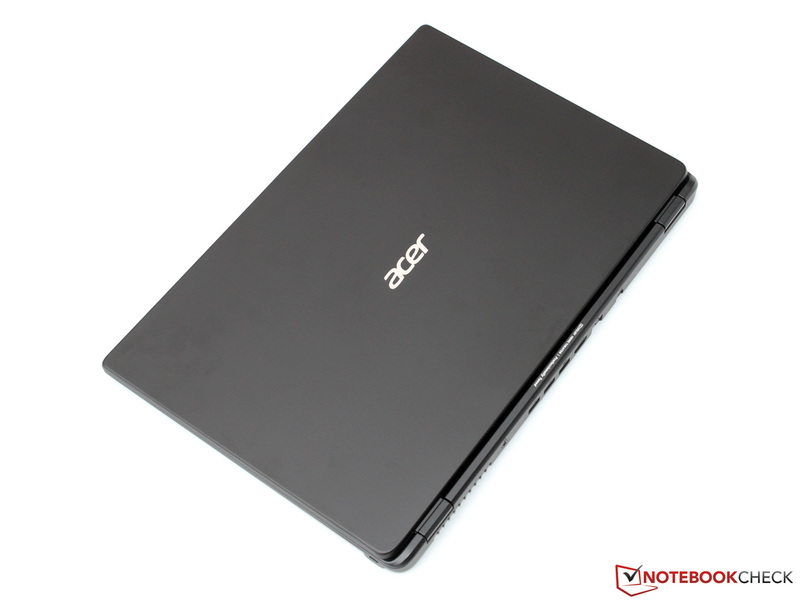 Acer primarily used metals for the M5 series, but our test model consists heavily of synthetic materials. Overall, the sturdiness is quite high, but in the usual problem areas, like above the DVD drive, weak points can be found. 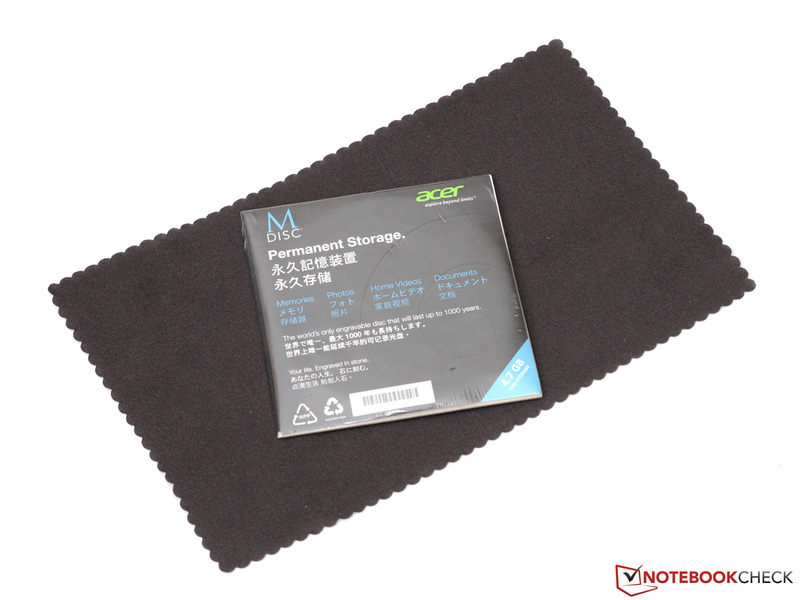 The display cover uses an aluminum alloy, which offers great sturdiness. We would also like to praise the stiff hinges, which do a good job of keeping the screen stable. The good workmanship is tainted by a flaw in our test model: the front and back of the display are not properly fused together. This results in a sharp gap on the top left edge that is a few millimeters long. Even if our test model is just a single bad egg, we expect more of a laptop, which carries such a high price tag. 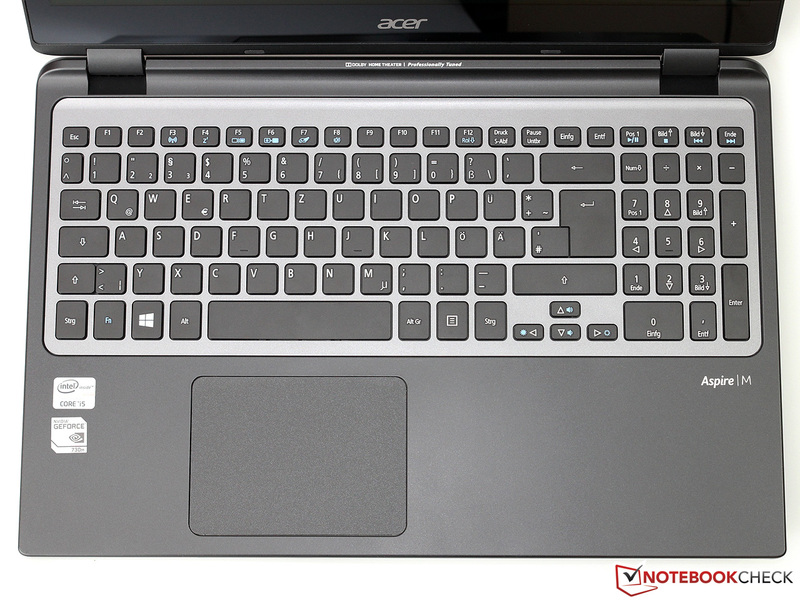 Acer has approached this topic in an interesting fashion: we often criticize the poor positioning of interfaces on notebooks (their placement on the sides might limit the work area of the user), but our test model only has ports on the back, which has serious consequences. The user must first find the right interface by either looking or guesswork if s/he wishes to connect anything, be it a simple USB stick or headphones. At least one of the three USB ports (1x USB 3.0), the audio jack and the power outlet should be placed in a more accessible area. The manufacturer deserves credit for providing an HDMI and Gbit LAN interface on the back and a card reader (SD/MMC) on the front left side. The Qualcomm module (formerly known as Atheros) of our test model is named the AR5BWB222. This entry-level model only supports IEEE standards 802.11b/g/n and thus cannot access any of the networks operating at the 5-GHz frequency. In addition, the maximum transfer rate is limited at 150 MB/s, as the module only operates in single stream (1x1). Looking past these limitations, we found the module to establish and maintain stable connections and have good range. The TimelineU also supports Bluetooth 4.0 + HS. An integrated 1.3 MP webcam is provided for taking pictures and video. However, the meager quality of these captures will make few users happy. Even in comparison to the other poorly equipped competitors, our test model has poor picture and video quality. The clear microphone does a much better job and the user will hardly require an additional headset. 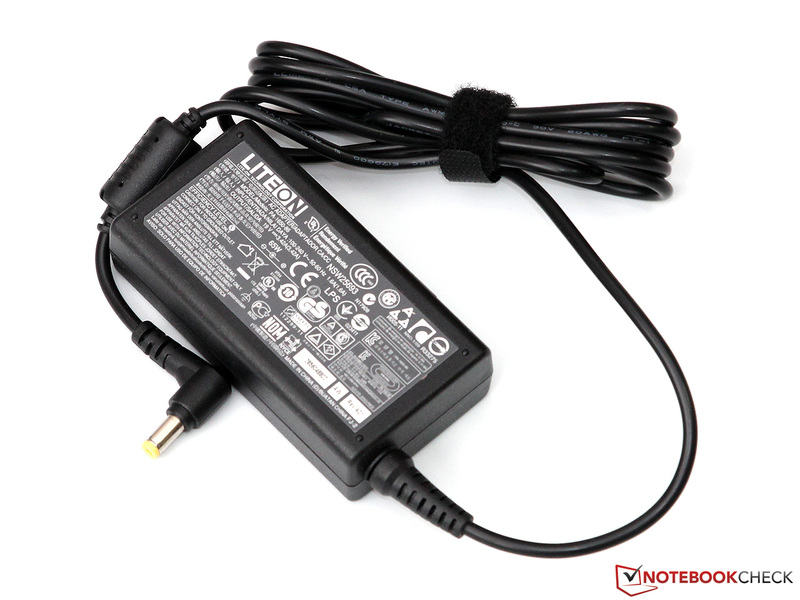 The delivery of the notebook includes a 65 W power adapter and the typical brochures. The included dust cloth will go a long way in keeping the touchscreen clean. The M-Disc DVD is a nice extra: it can be written on with the internal burner and read by any DVD drive. According to the manufacturer, it can last up to 1,000 years. The preinstalled Windows 8 is filled with a multitude of Apps, the majority of which are hardly useful. A clean installation is recommended. Most of these Apps are demos or mini games like "Cut the Rope", which are essentially provided to test out the touchscreen. 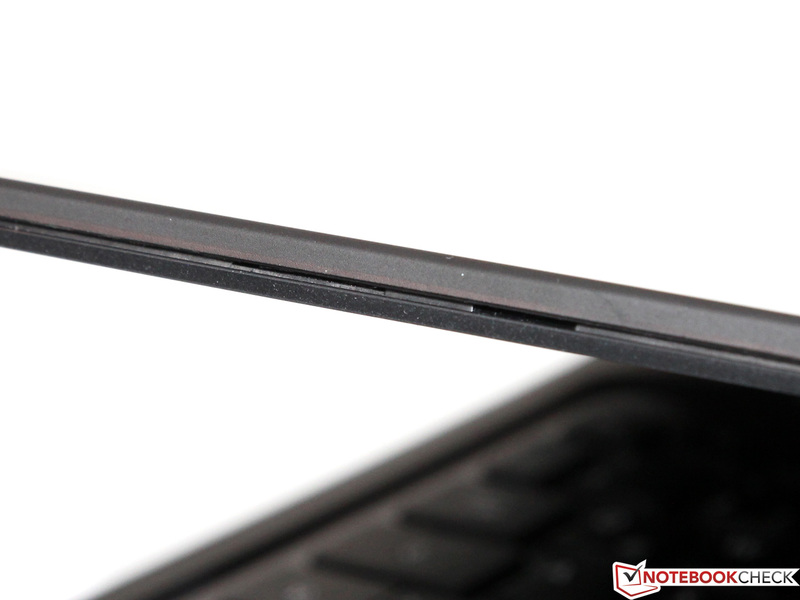 In contrast to other Ultrabooks, the Aspire M3 has a maintenance flap accessible to the user. 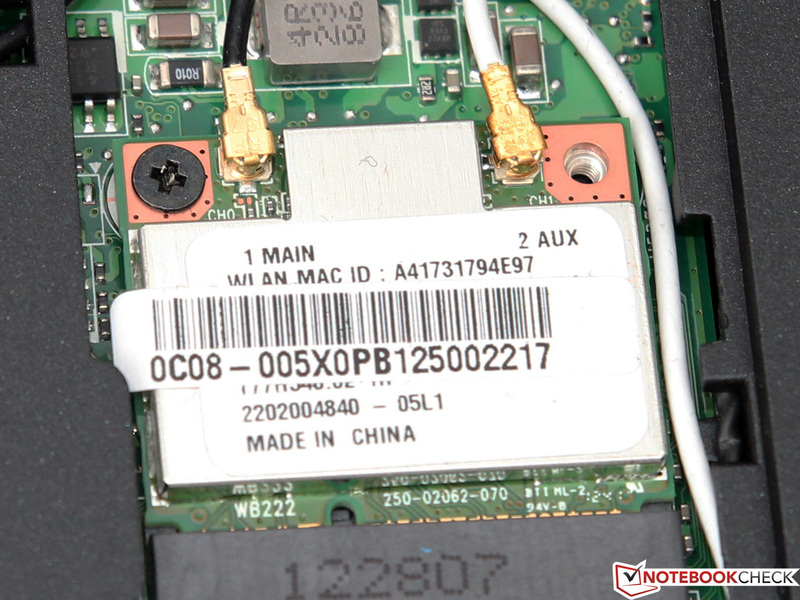 Once opened by a screwdriver, the WLAN module, mSATA drive or RAM (1 slot) can be swapped out easily. An empty 2.5-inch drive bay offers room for an additional storage device. 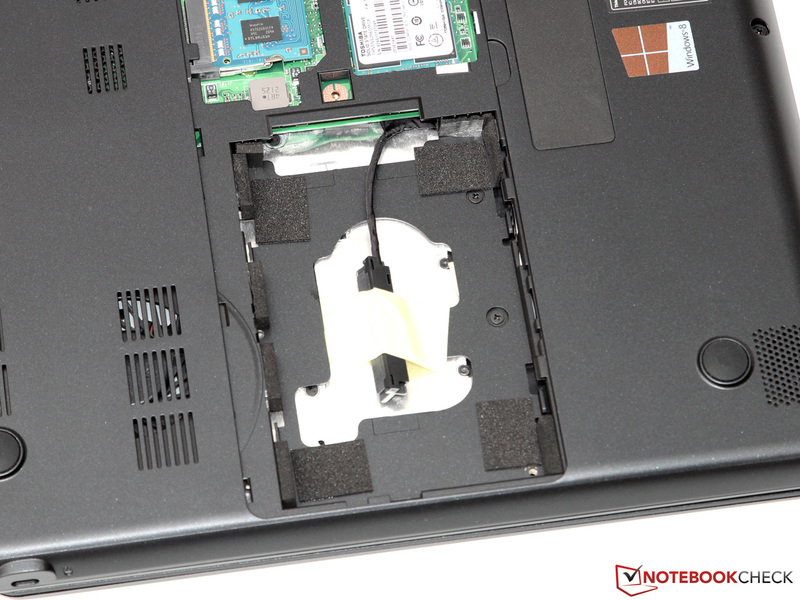 Like most other manufacturers, Acer offers a 2-year manufacturer's warranty with "On-Site" service: only a few cheap entry-level models are excluded from this coverage. Various online shops offer warranty extensions. For example, for 90 Euros (~$118), it is possible to extend the warranty up to 3 years. 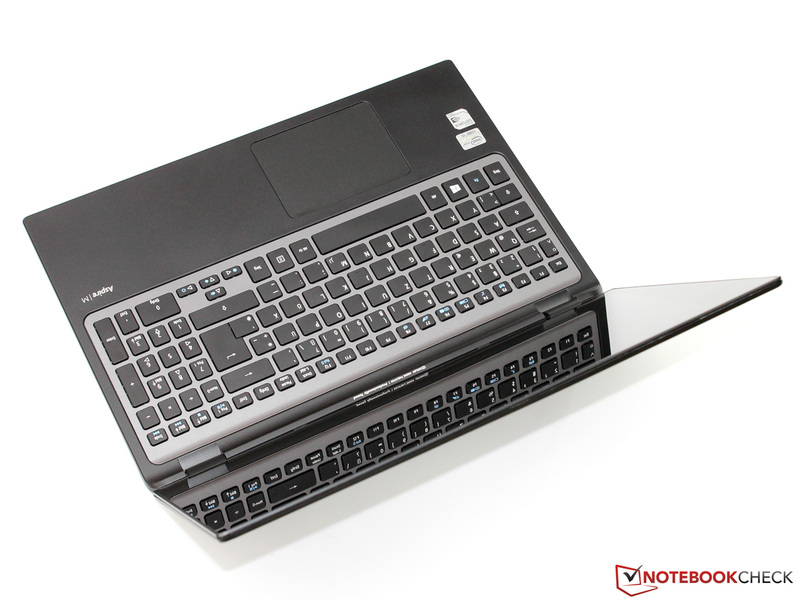 Thanks to the wide 15-inch case, the manufacturer has enough room for a chiclet keyboard with an integrated numeric pad. 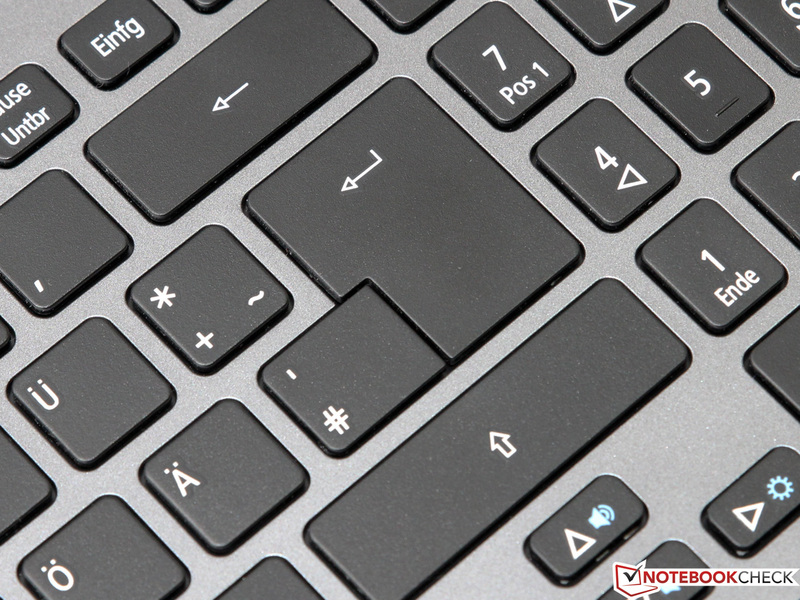 The gray 15 x 15 mm (~0.59 inch) keys have a comfortable surface, but lack lighting. 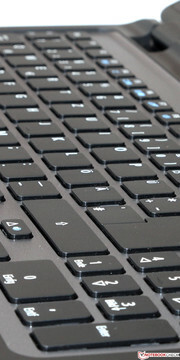 The user will have to get accustomed to the keyboard as it has some unique features, like the left "Shift" key, which is quite small. With the exception of these, the keyboard layout is normal. The typing feel is satisfying although we would have liked a stronger pressure point and a longer stroke distance. No keys clatter or jam, as may be expected of cheap plastic. Thanks to the high sturdiness and clean workmanship, the TimelineU scores highly. In comparison, the touchpad quality is lower. The good dimensions (10.5 x 7.8 cms/~4.1 x 3.1 inches) and good sliding properties are appealing. 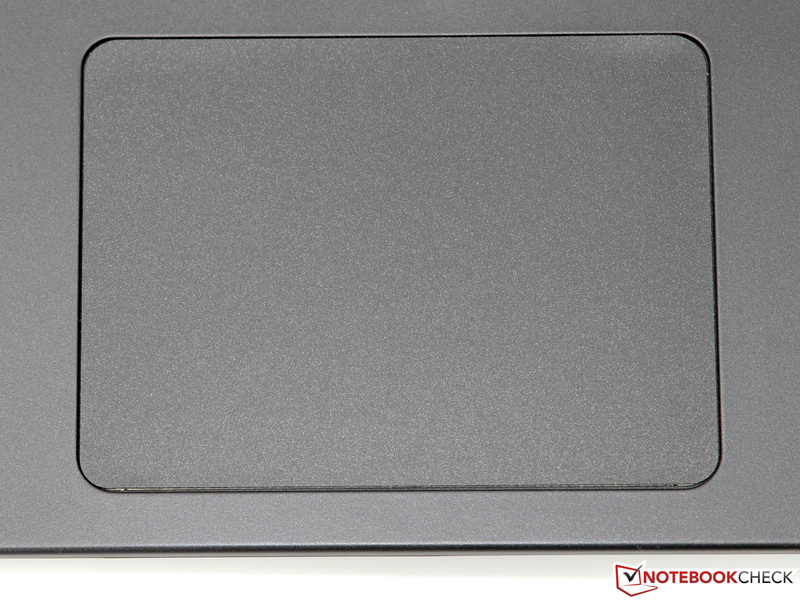 This touchpad originates from the manufacturer Elan. A serious flaw is the delayed reaction time. 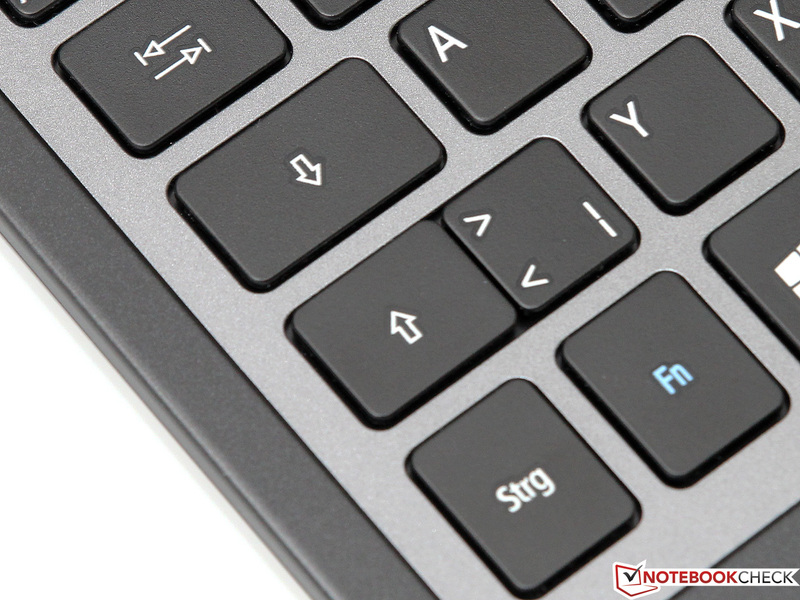 The cursor feels sluggish, which makes it hard to navigate accurately and quickly. 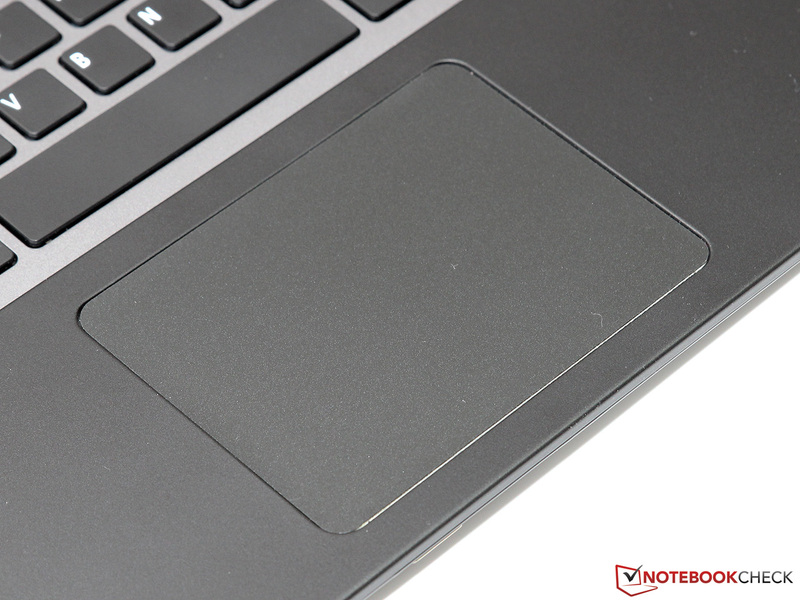 The touchpad supports all the typical multi-touch gestures (with two or four fingers). These can be configured to suit your personal preferences. 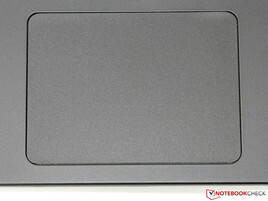 Acer has kept to the current trend by integrating the mouse keys into the touchpad surface. Apparently, the touchpad of our test model was poorly installed: the left key is recognized by pressing down about 1 mm but the right key practically has no stroke distance. 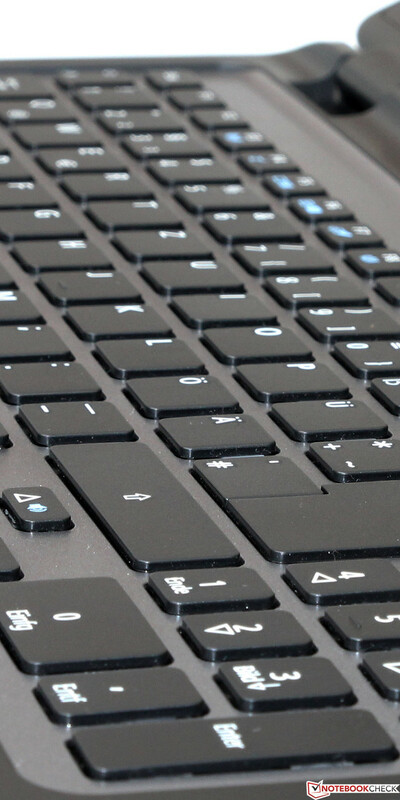 Both keys require a lot of force – the user might be better served by an external mouse. The third input device is the capacitive touchscreen, which can recognize and work with up to 10 fingers simultaneously. In previous reviews, we have expressed our feelings on using a Windows notebook with finger input. We believe that it is best for the potential buyer to decide for him/herself how useful a feature like a touchscreen will be. Overall, the input is well-recognized and swiftly executed. Once again, the stiff hinges are a great help as they keep any and all wobbling to a bare minimum. The touchscreen may be a nice gimmick, but its picture quality is important. Sadly, Acer has picked a relatively cheap WXGA panel, which sports a resolution of 1366x768 pixels – barely higher than the resolution of a good Smartphone. 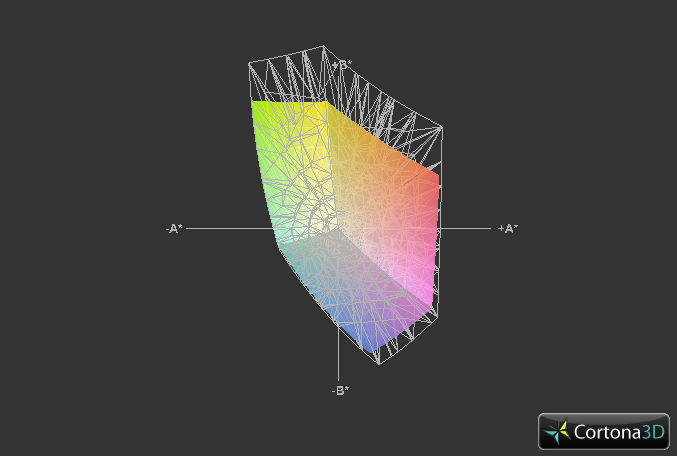 Taking into consideration the display diagonal of 15.6 inches, the pixel density amounts to 100 dpi. This means that the GPU will have less work cut out for it, but the user will be faced with a very limited desktop, not suited for a 1,000 Euros (~$1310) Ultrabook. The display has modest brightness. Even at maximum, we measure a mere 203 cd/m², which was evenly distributed over the panel. The TimelineU is suitable for indoor use, but higher brightness levels would have been good - especially for outdoor use. 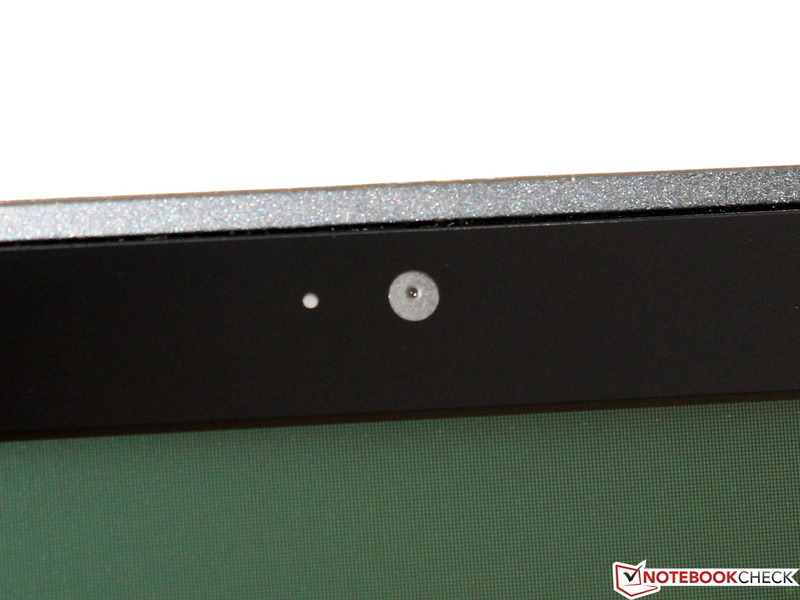 The manufacturer has cut corners with the panel: instead of a high-quality IPS screen, Acer chooses a TN panel from AUO (B156XTN03). The contrast of 495:1 and black value of 0.42 cd/m² are quite good for this type of display, but they cannot hope to compete with high-class panels on the market. In comparison, the HP Spectre XT TouchSmart 15 (1,400 Euros/~$1834, Full HD, IPS) offers a contrast of more than 800:1. 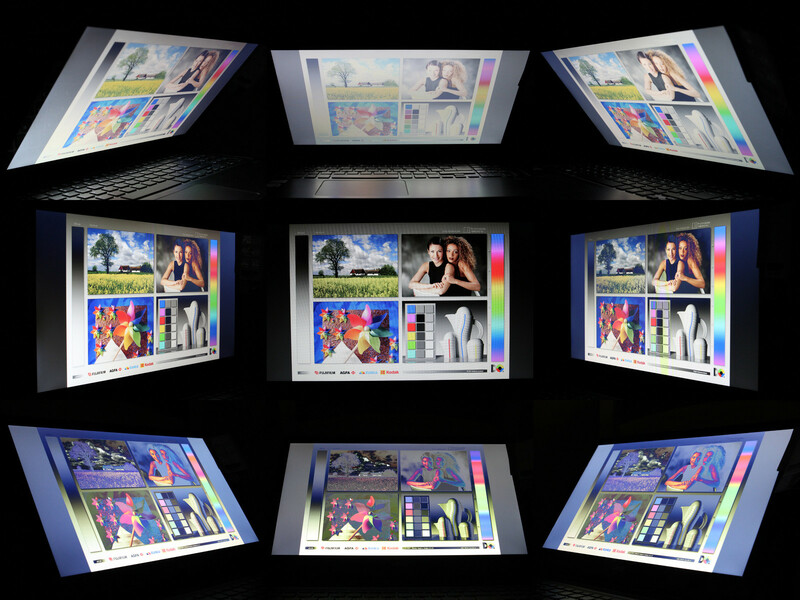 The Acer Ultrabook is primarily aimed at private users, which makes color spectrum coverage less interesting. The display has strong deviations (Delta E 13.8) and a clear blue tinge. 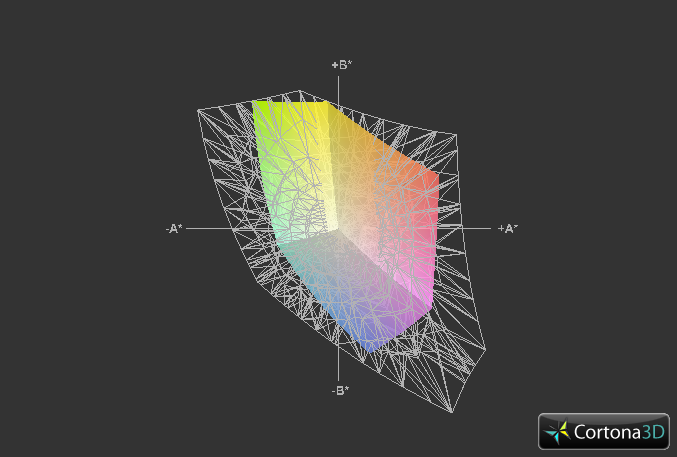 In addition, the relatively small color space cannot cover the sRGB or AdobeRGB spectrums. Most users will not notice any of this as the TimelineU is suitable for easy tasks, like editing holiday pictures. 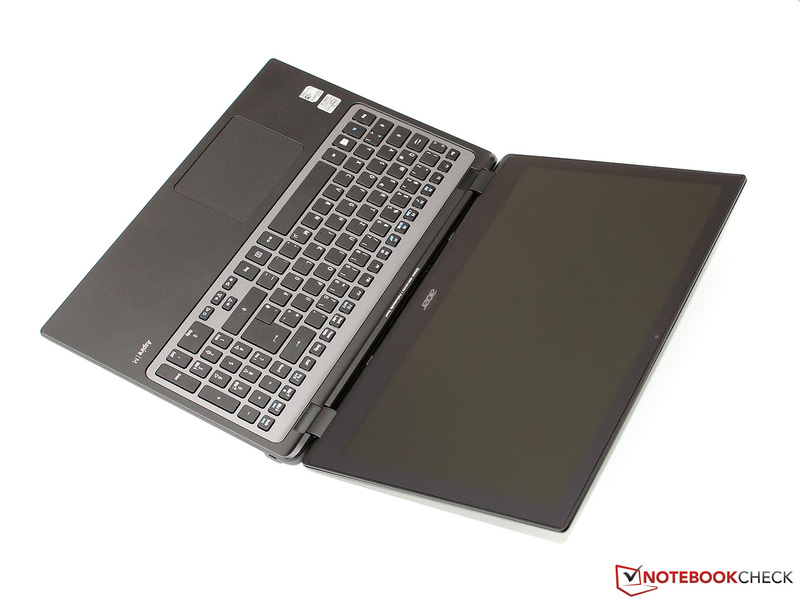 A mobile Ultrabook should be suitable for use outdoors. Unfortunately, our test model is very limited in this respect: the glossy display and low maximum brightness (on battery, a mere 162 cd/m²) make reading the display content hard and forces the user to stick to the shadows. As with any TN panel, the M3 display is best legible when viewing from a perpendicular viewing angle. Even small deviations above or below can lead to changes in the color and strong drops in contrast. Horizontally, the picture remains far more stable and up to two people can look at the screen simultaneously. 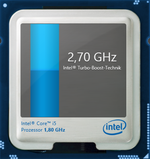 Haswell, the Ivy Bridge successor, is due for launch in a few months, which means it is time for Intel to do some spring cleaning and launch a handful of new models, which are often dubbed "speed bumps". 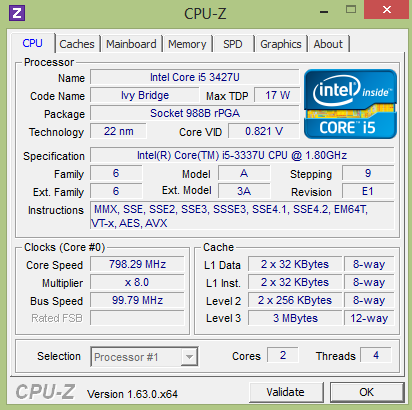 This includes the Core i5-3337U of our test model, which replaces the older i5-3317U. 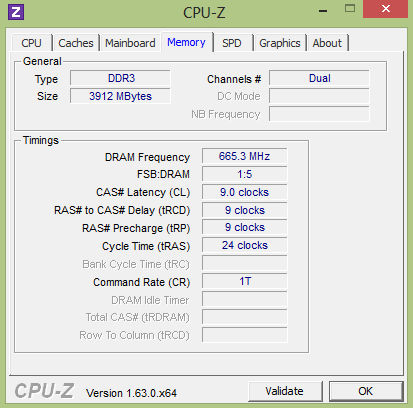 The difference is a mere 100 MHz higher base and Turbo clock speed, which expands the speed range to 1.8 - 2.7 GHz. 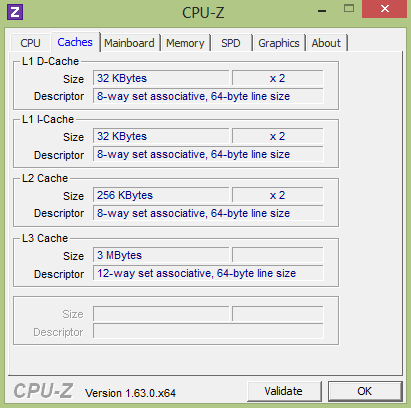 No additional features, like the support of Hyperthreading or the 3 MB L3 cache, have been touched. The TDP is still similar to that of an ULV CPU: 17 Watts. 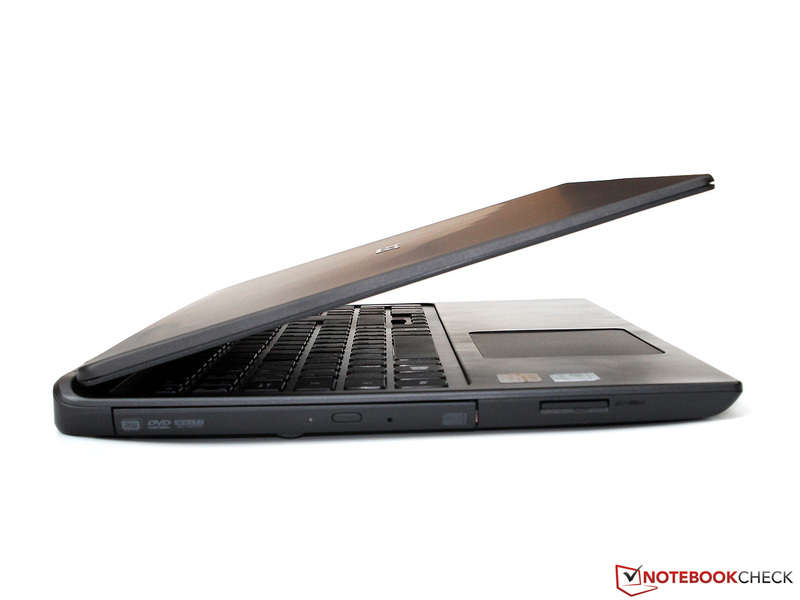 The graphics processors of the laptop include the HD Graphics 4000 IGP (350 - 1,100 MHz) and a dedicated GeForce GT 730M GPU. Depending on the application, Nvidia Optimus will use the optimal GPU: simple 2D programs will be run with the conservative Intel IGP, whereas the more demanding 3D games are executed with the GT 730M. The switch between the two is fluid and, most of the time, automatic. Acer offers two configurations for the M3-581PTG. The entry-level configuration costs 800 Euros (~$1048) and employs a classic 500 GB HDD, whereas the configuration of our test model costs roughly 200 Euros (~$262) more and includes a 256 GB SSD and 4 GB DDR3 1333 RAM, of which 2 GB are soldered onto the motherboard. As the increase in clock speed is minor, the Core i5-3337U cannot beat its predecessor, the i5-3317U, by a large margin. In Cinebench R11.5, we measure a score of 2.49 points - roughly 4% higher. The differences are just as small in the Cinebench R10 (64-bit) benchmark: the TimelineU scores 4,651 and 9,546 points (Single/Multi). Still, the dual-core processor is not to be underestimated: even the 35 W middle-class i5-3210M is only 15 to 20 percent faster. 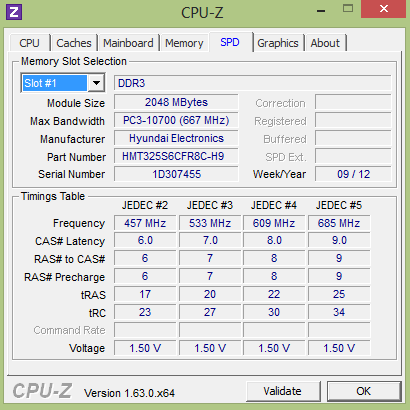 The AMD top model, the A10-4600M, falls far behind our test model. With the exception of a few demanding programs (for example, HD video editing or rendering), the Core i5-3337U is suitable for all modern applications. Although the TimelineU includes a free 2.5-inch slot, the manufacturer has installed a compact mSATA SSD from Toshiba. The model is the THNSNS256GMCP, which is not sold in shops and probably uses the Sandforce controller. This should be the SF-2281 controller with a 24 nanometer NAND (also from Toshiba). 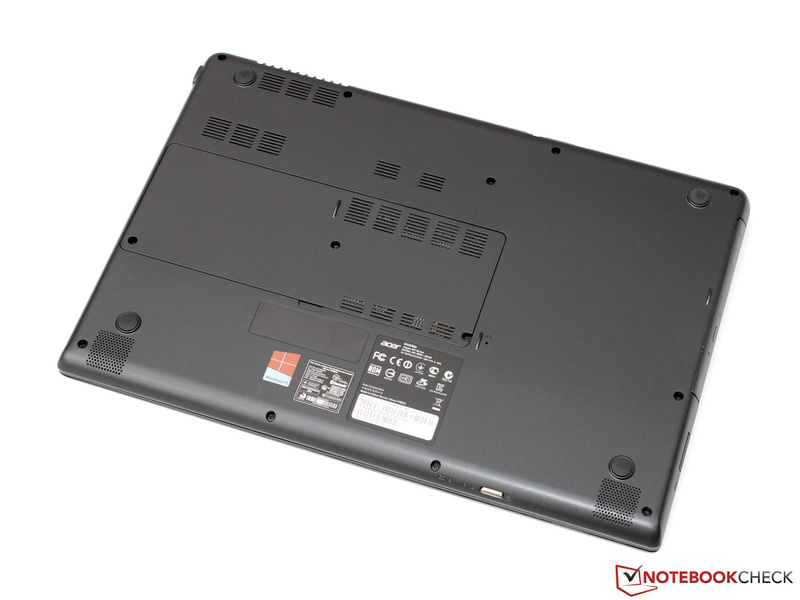 However, as many notebook manufacturers use different sellers, this information can be inaccurate. 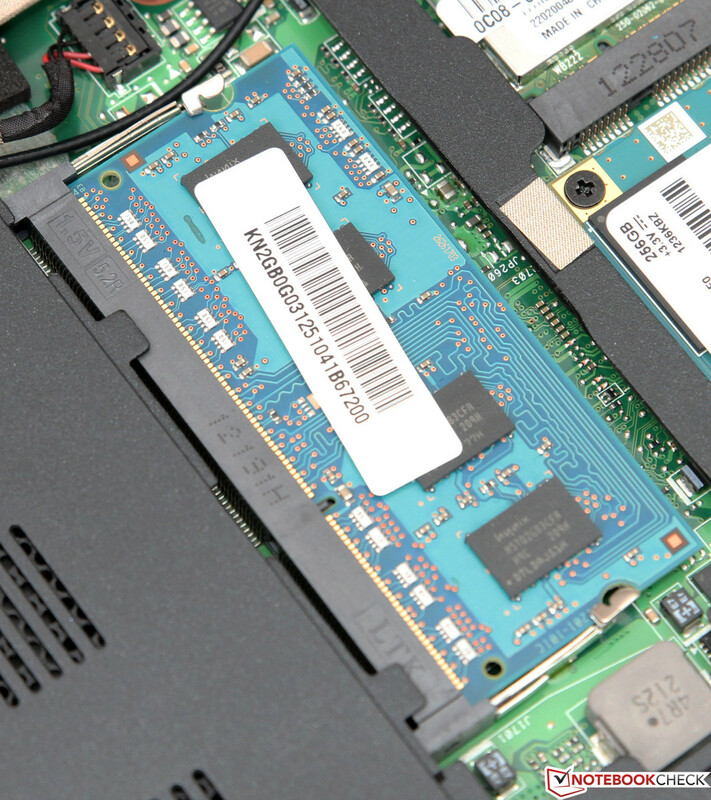 In any case, the SSD boosts performance: sequential read speeds of 512 MB/s and write speeds of 359 MB/s (AS SSD). This places the drive at the very top of the market and it even beats the popular Samsung PM830. 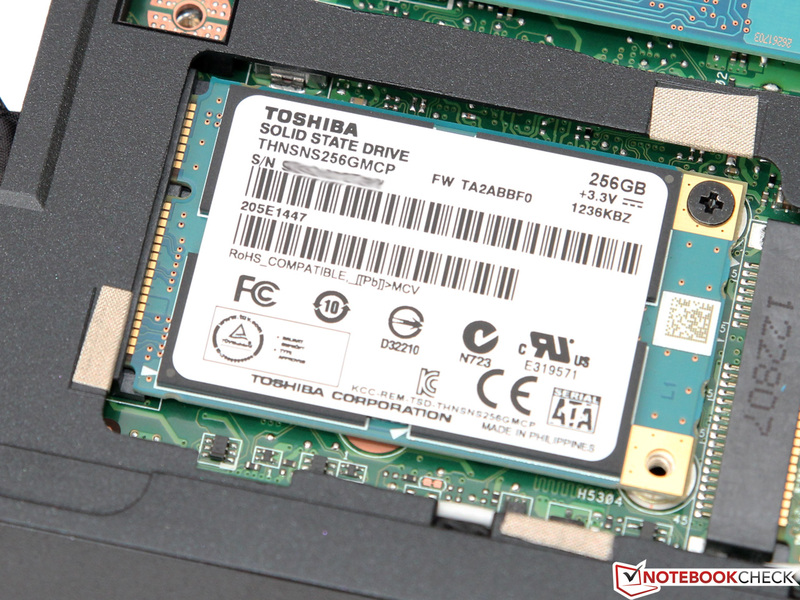 While dealing with small 4K files, there is no clear champion, but the Toshiba SSD shows its strength in writing (4K-64: 269 MB/s). Thanks to the fast SSD and powerful Core i5 CPU, the Ultrabook shines in PCMark 7. The 4,791 points it scores, places it at the level of competitors like the Acer Aspire S7 (4,824 points), HP TouchSmart 15 (4,414 points) or Lenovo IdeaPad Yoga 13 (4,396 points). This should come as no surprise as the CPUs and storage devices of these different models, which are the deciding factors of the PCMark score, are very similar. In everyday use, the TimelineU M3 benefits greatly from its fast flash memory. It has short load times and a quick response time. Windows 8 boots in less than 12 seconds and is practically instantaneously ready. The Nvidia GeForce GT 730M, which was introduced at the beginning of the year, is known to us from the Acer Aspire V3-571G. Although the name suggests a new generation, the GPU actually uses the well-known GK107 Kepler chip – which can also be found in the GeForce GT 640M or 650M. The 28 nanometer GPU has a clock speed of 725 MHz and 384 shaders. This is only slightly higher than the GT 645M, but with Turbo Boost, the speed hikes up to 895 MHz. 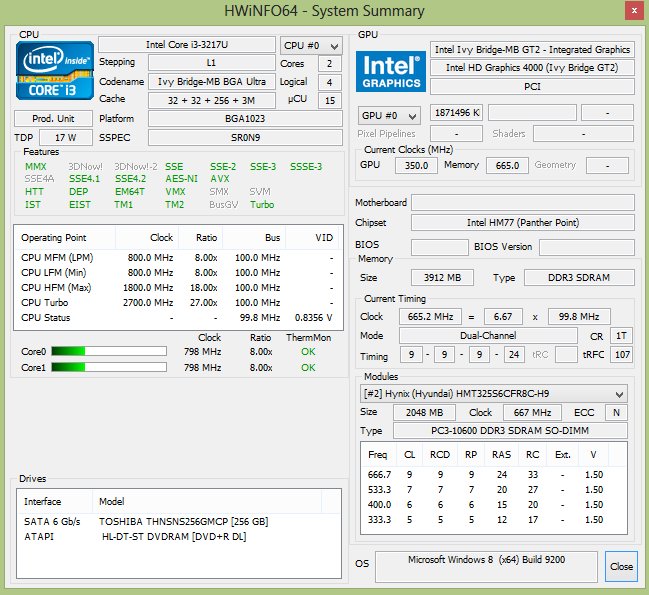 As a result, the 730M is barely slower than the DDR3 version of GT 650M (950 MHz Turbo). This GPU has 1 GB memory (900 MHz, 128-bit DDR3). The standard practice is to provide 2 GB VRAM, but this would not make much of a difference in this performance class. 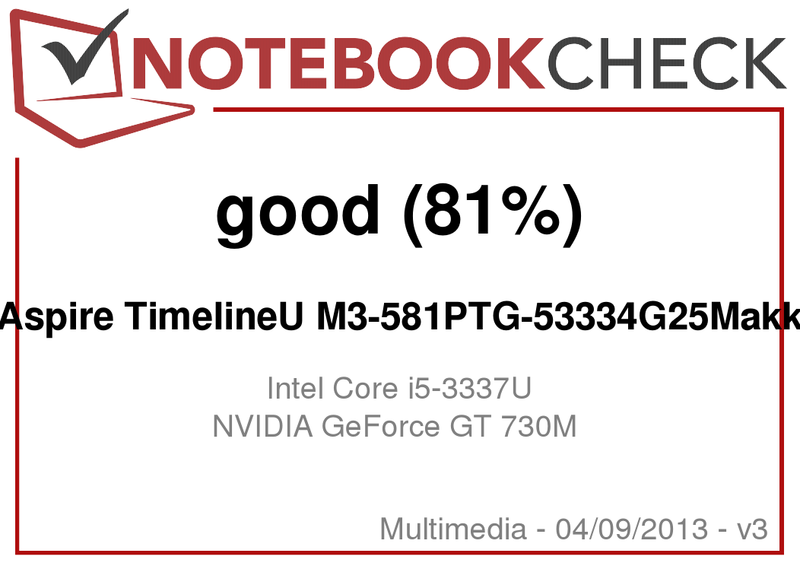 The result is good: an impressive 2,135 points in 3DMark 11 make the TimelineU M3 one of the fastest Ultrabooks available. The scores from 3DMark 2013 (Fire Strike: 1,168 points) promise great gaming suitability. In fact, all the games we tested ran fluidly at the native resolution of 1366x768 pixels. There were differences in what detail settings we had to use: while the relatively less-demanding Diablo 3 or Dishonored could be run with max settings and active AA at frame rates above 60 fps, games like Battlefield 3 had to be run at medium settings. 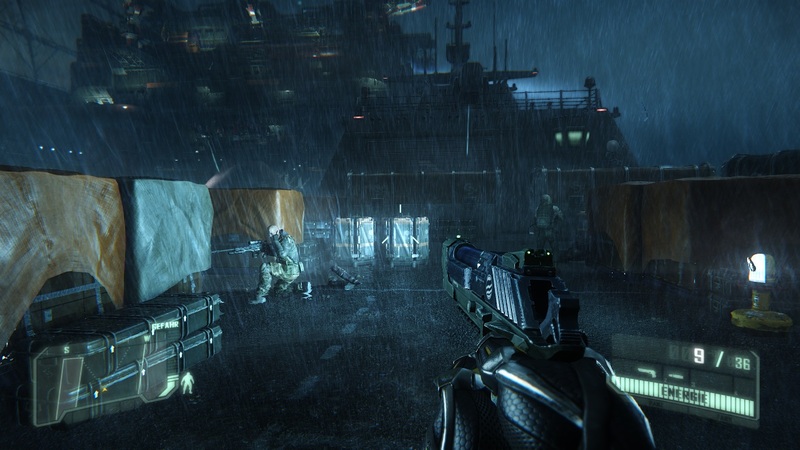 A heavier drop in the graphics settings was necessary only for a handful of very demanding games, like the recently released Crysis 3, which did not run perfectly at medium settings. This confirms our previous assertion: the GT 730M is just shy of the GT 650M in terms of power. 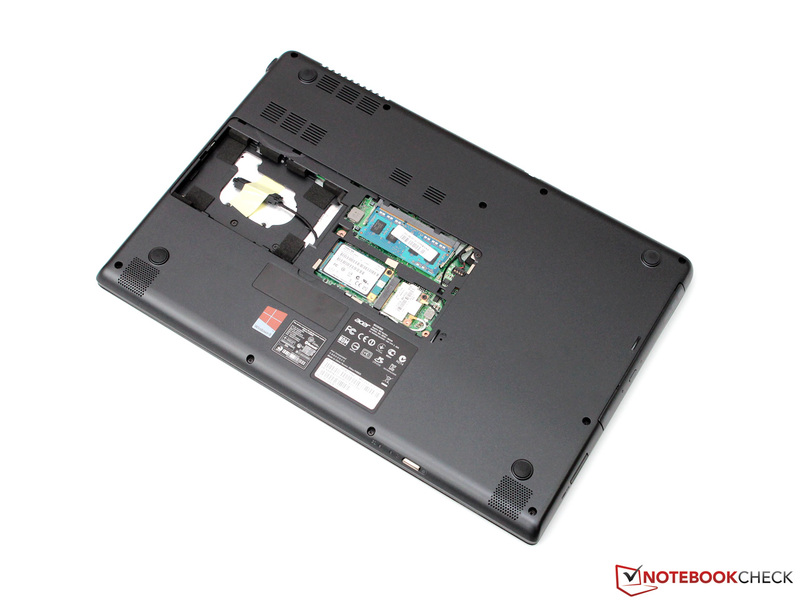 While idle, the fan of the Ultrabook runs constantly and emits between 31.7 and 31.9 dB (A). This level of noise emission is not distracting, but it is noticeable in quiet surroundings. The emissions rise a little more while surfing (occasionally turning up to 34.8 dB (A)) or playing a DVD (36 dB (A)). Thanks to the SSD, the annoying access noises of a traditional HDD are not present. 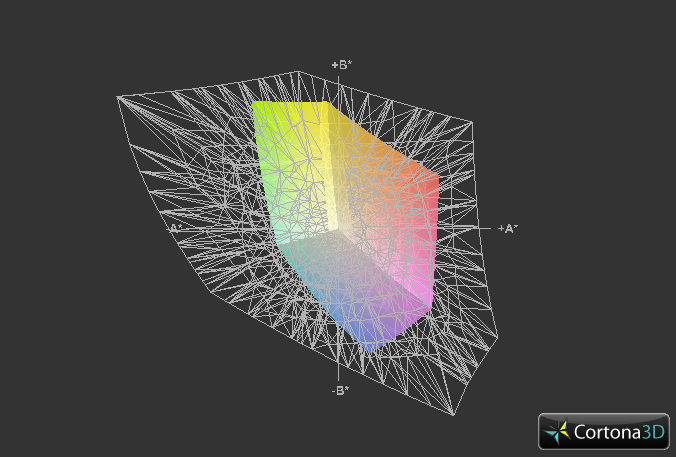 At load, the powerful graphics card forces the fan emissions higher: 41.2 to 41.4 dB (A). If we take into consideration the power of the hardware, we believe this to be an acceptable level of emission. 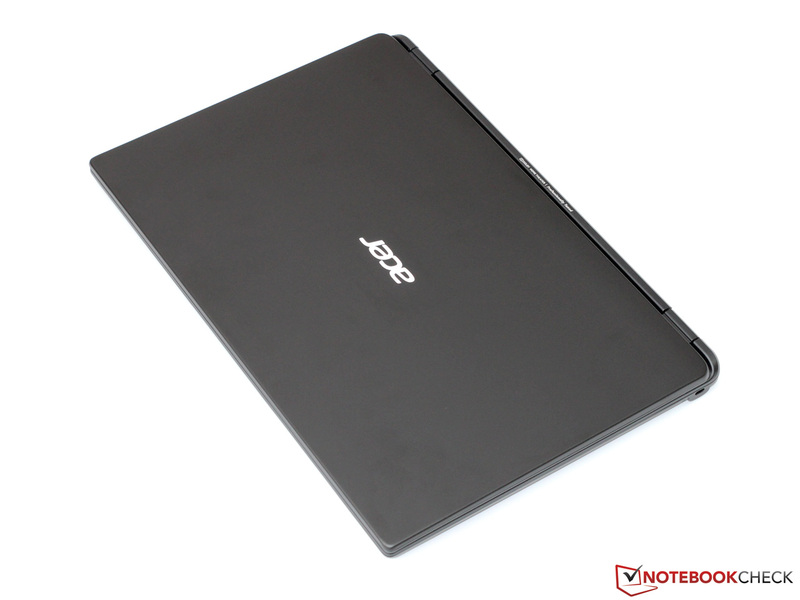 In fact, it is not much louder than other Ultrabooks that lack a dedicated GPU. 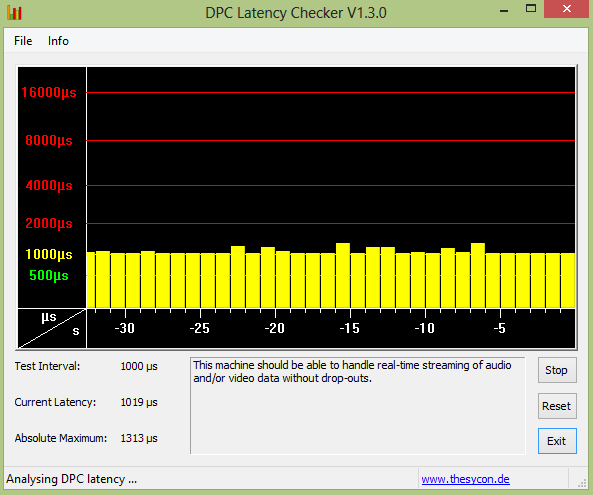 In comparison, the HP Spectre XT TouchSmart 15 emits 35.2 to 44.2 dB (A). Without load, the surface temperatures barely reach the 30 degree (86 degrees Fahrenheit) mark, which indicates great energy management in the TimelineU. This does not change when performing normal, everyday tasks and the user can keep the notebook on his/her lap. The situation at full load is less appealing, especially near the back right side, where the ventilation opening is placed - here the temperatures can rise up to 57 °C (134.6 °F). The hand-rest regions and the "WASD" area (which holds interest for gamers) remain relatively cool - this is useful in summer. Like many of its competitors, this Acer model suffers from throttling. In our stress test, the CPU temperature reached up to 95 °C (203 °F), which brought about a drop in the clock speed to 1.3 GHz. 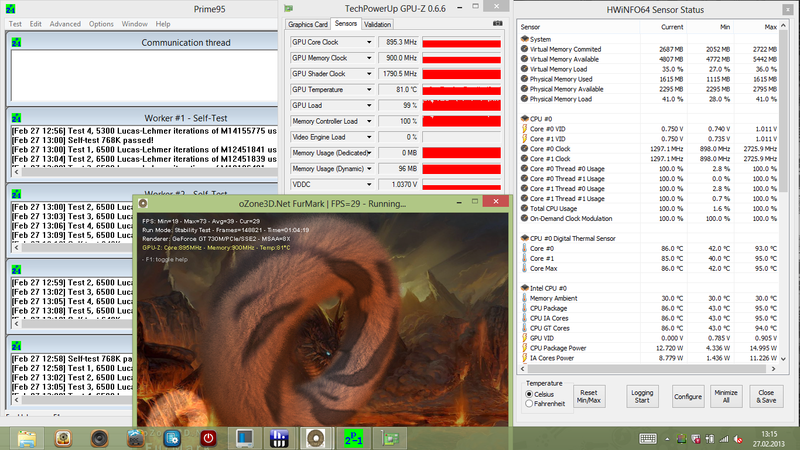 After the cores had cooled down, the speed shot back up to 2.5 GHz and the circle repeated itself. However, it is important to note that such a full load situation was simulated using the synthetic benchmarks Prime95 and FurMark. In real applications and games, no throttling is present. The graphics chip constantly runs at its max clock speed of 895 MHz and heats up to a max of 81 °C (177.8 °F). (-) The maximum temperature on the upper side is 49.3 °C / 121 F, compared to the average of 36.5 °C / 98 F, ranging from 21.1 to 71 °C for the class Multimedia. 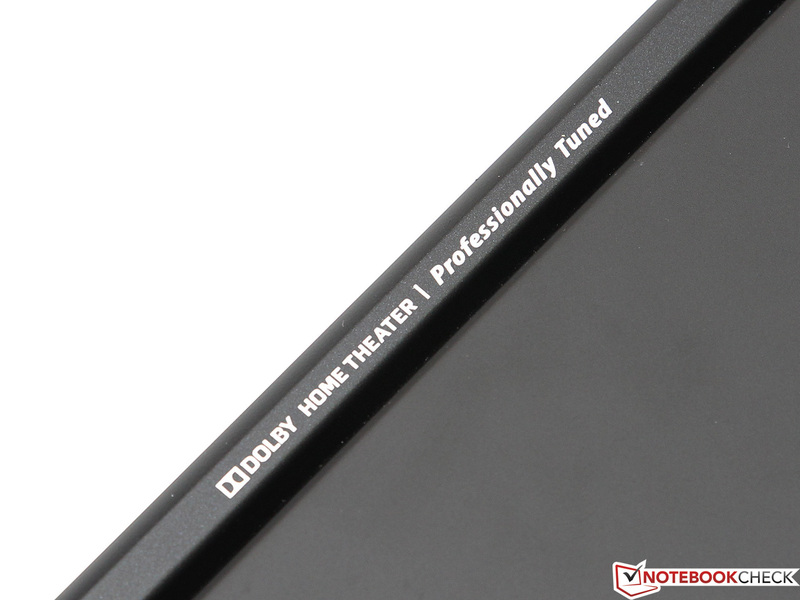 The front of the notebook houses two stereo speakers, which have a significant maximum volume. Music and movies sound clear (above average) and the speakers only lack bass. The various equalizer settings do little to change that, but we like the "Music" preset best. External speakers can be connected digitally via HDMI or using the classic headphone jack. The latter offers good signal quality but not enough for high-impedance entertainment headphones. 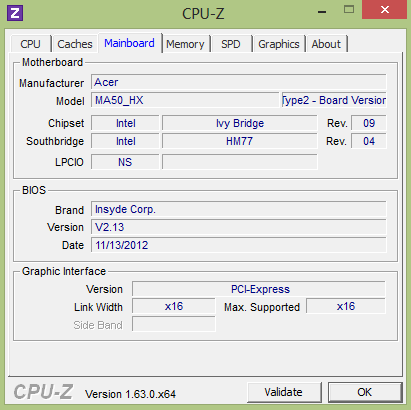 Thanks to Optimus, the TimelineU consumes 6.0 - 7.7 W while idle. This is very similar to other Ultrabooks. 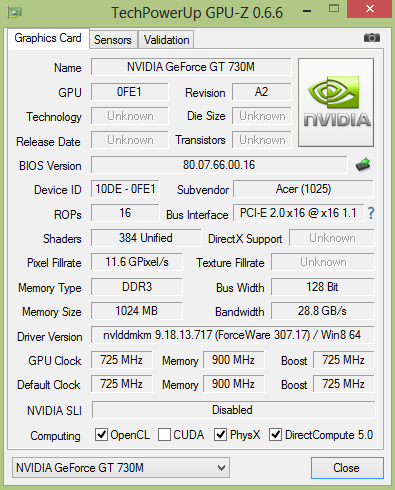 This changes once the GeForce GT 730M kicks in. The consumption of 56.5 W in 3DMark 06 and up to 67.4 W in the stress test (fluctuates) exceeds that of the competition (at least those which lack a dedicated GPU) by 25 to 30 Watts – precisely the consumption of the GPU. The 65 W power adapter is only barely capable of supplying the necessary juice to the laptop. 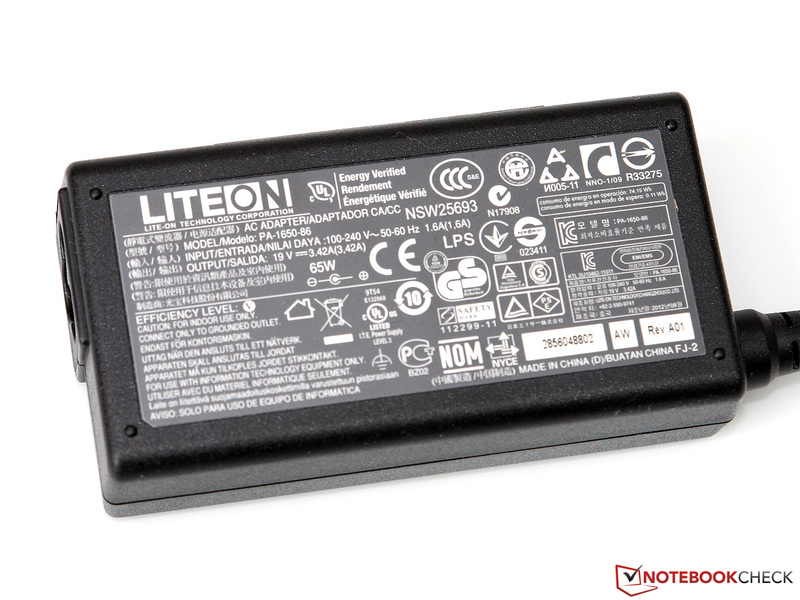 The integrated Lithium-Polymer battery has a capacity of 54 Wh and, according to Acer, delivers up to 8 hours run time. This is not an exaggeration: although the Battery Eater Reader’s Test (minimum brightness, "Power Saver" profile, WLAN off) could not be forced to use the conservative Intel IGP, the laptop lasted a good 7 hours and 35 minutes. When we adjusted the brightness (around 150 cd/m²) and surfed online with the WLAN, we found the run time to be 6 hours and 17 minutes. 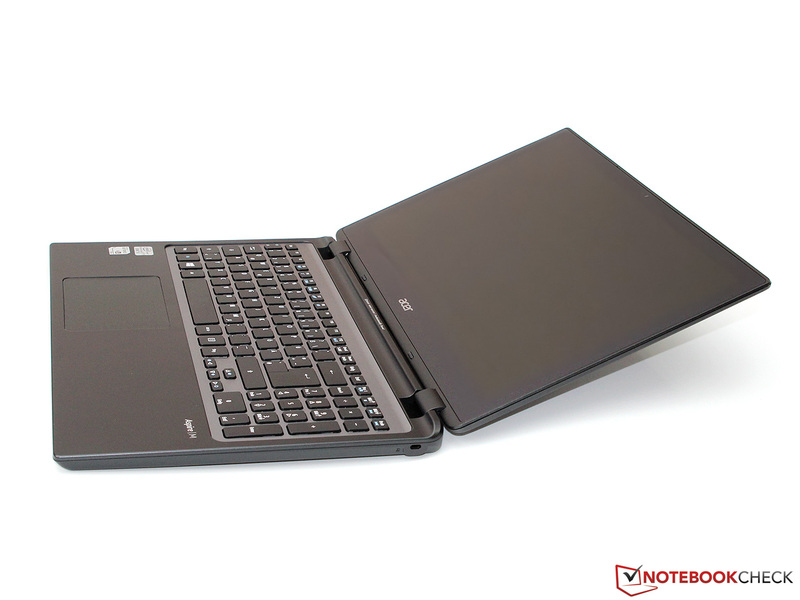 In this practical test, the M3 exceeds many other Ultrabooks, which can only offer 4 to 5 hours. Although Acer does not limit the CPU or GPU on battery, the test model lasts an impressive 2 hours and 16 minutes in the Battery Eater Classic test (max brightness, "High Performance" mode, WLAN on, running on battery). Demanding 3D games will drain the battery much faster. 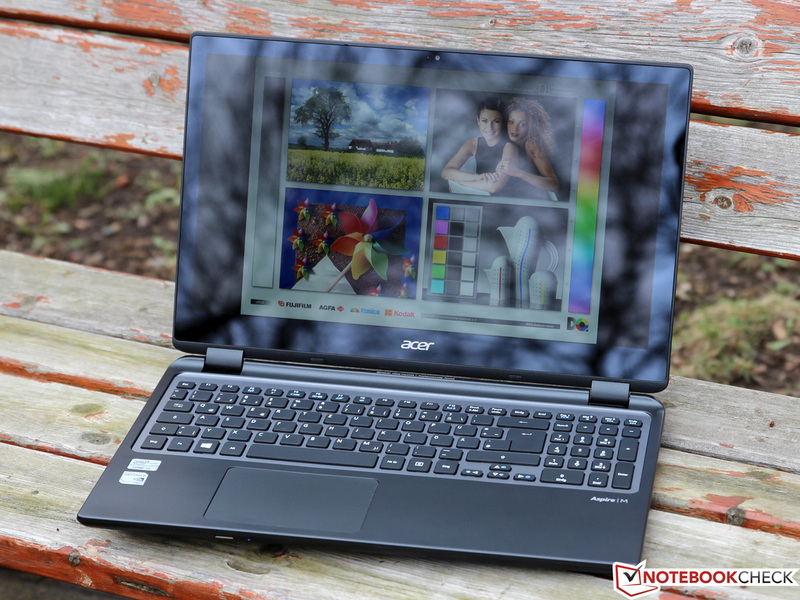 Multi-faceted but with weaknesses - this would be an appropriate description of the Acer Aspire TimelineU M3-581PTG. Thanks to the powerful Nvidia GPU, the Ultrabook can run the newest games without problems. 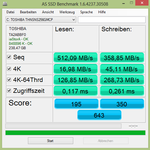 The Core i5 CPU and the fast SSD do their part in giving the system good performance. The resulting power consumption and noise and temperature emissions cannot be avoided. However, the real weakness of the laptop is a different area. The glossy display makes it hard to use the laptop outdoors. The touch feature raises the question: is it really necessary? The user might have been better served by a high-quality IPS panel. Still, this is a matter each potential buyer has to decide for him/herself. Other small flaws are also noticeable. 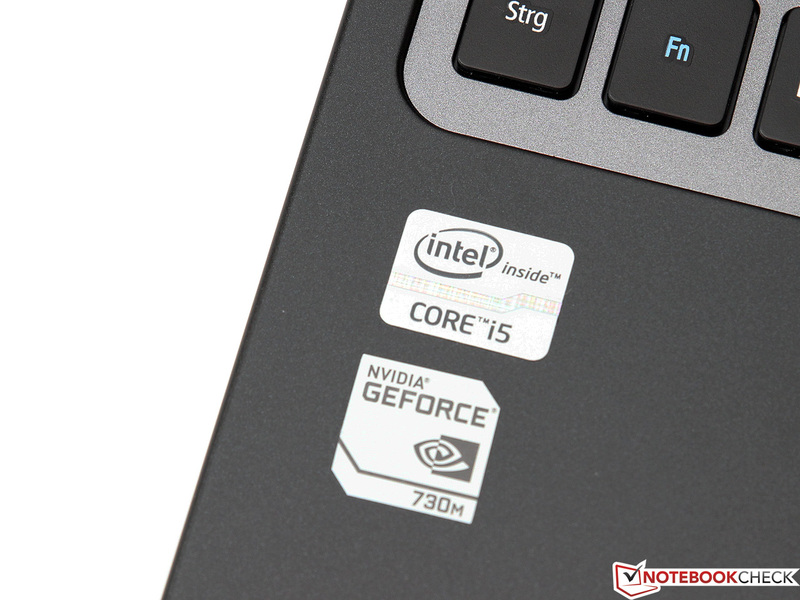 We expect more from a 1,000 Euro (~$1310) Ultrabook. These flaws include a spongy and poorly installed touchpad and workmanship errors on the display cover. Let us hope that this is an isolated case, as our test model does originate from a reseller. 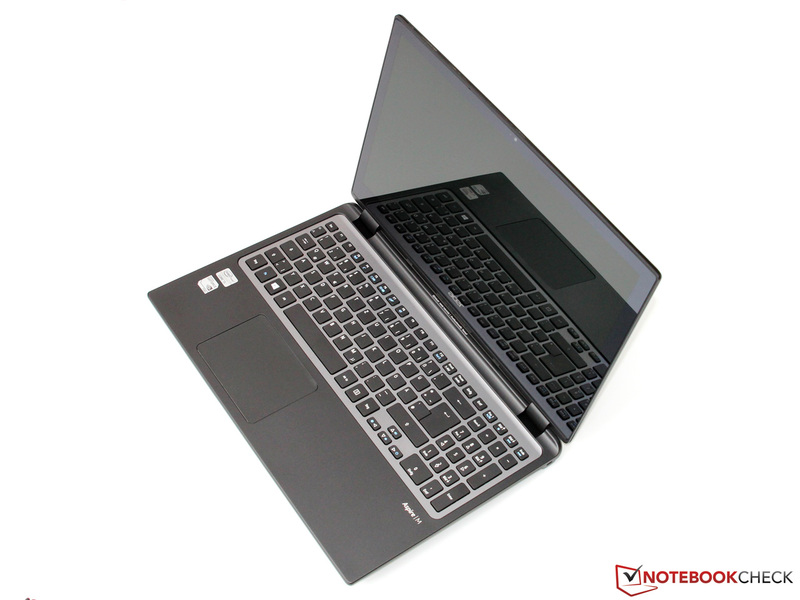 If you are looking for a long-lasting Ultrabook with a touchscreen, optical drive and a fast graphics card, our test model is a prime option. 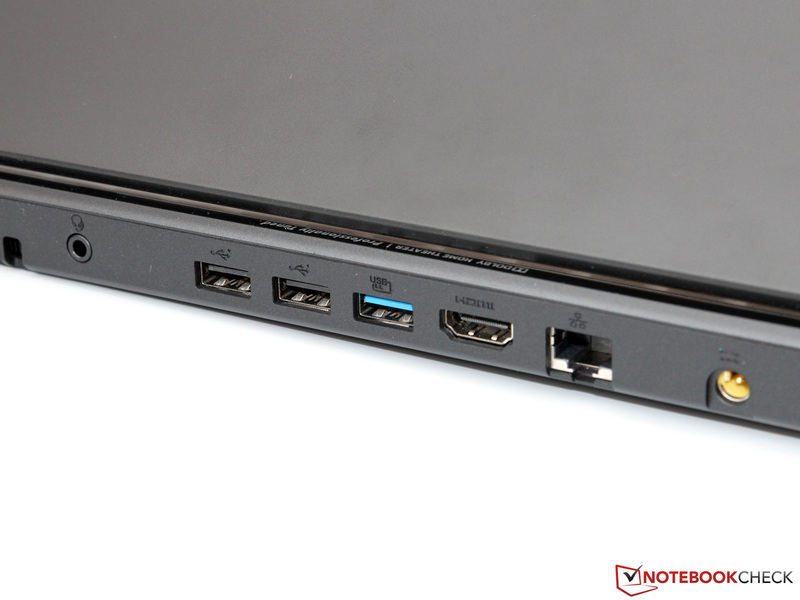 The lone USB 3.0 port is on the back of the notebook. The Dolby sound system is clear and loud, but has weak bass. Disappointing: 1.3 MP webcam with poor picture quality. and mSATA SSD to the user. 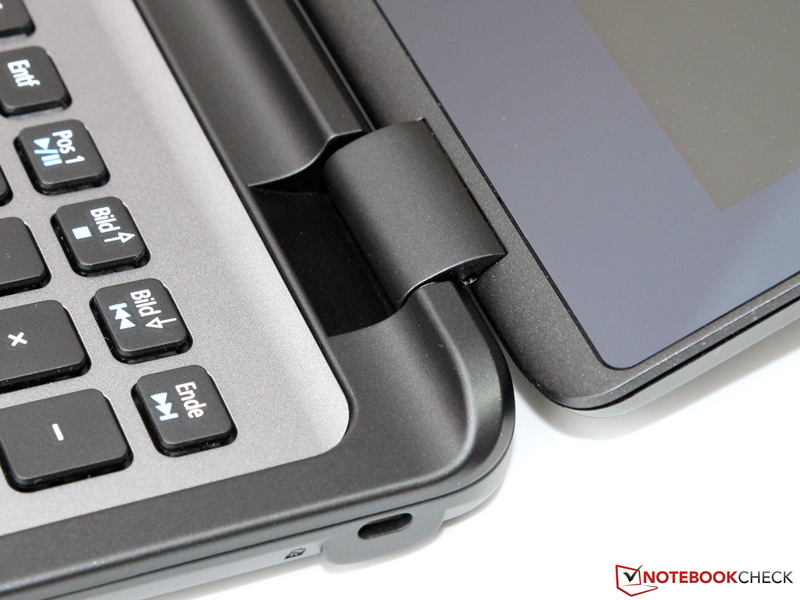 The laptop offers space for an additional 2.5 inch drive. The delivery includes a long-lasting M-disc DVD. Touchpad input is a bit delayed. For example, the Shift key could be bigger. as the layout has a few unique features. has a lot to offer on the hardware side. Still hinges prevent display wobbling. Another pro: an optical drive. This 15-inch model weighs a mere 2.3 kgs. which just about covers the max power consumption of the model. Looking for a gaming-ready Ultrabook? 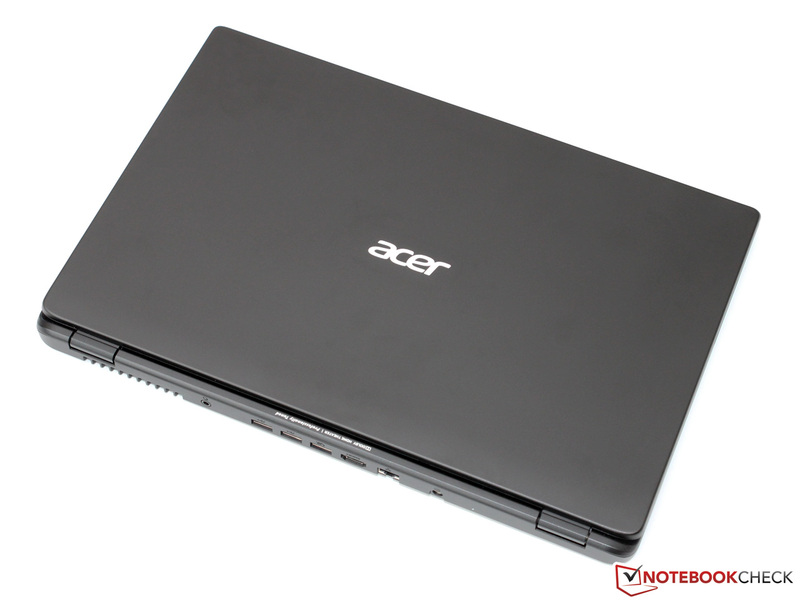 Few competitors offer higher performance than the Acer Aspire M3. A better display, clean workmanship, reliable input devices – for 1,000 Euros it is hard not to expect more. The TimelineU is one of the many Ultrabooks which use touchscreens (most of which are not cheap). However, this technology does not benefit the user as much as we would like. It would be better to use the money to improve a weakness. Other Ultrabooks with a touchscreen: Asus VivoBook S400CA, HP SpectreXT Touchsmart 15 or Sony Vaio SV-T1511M1E/S. 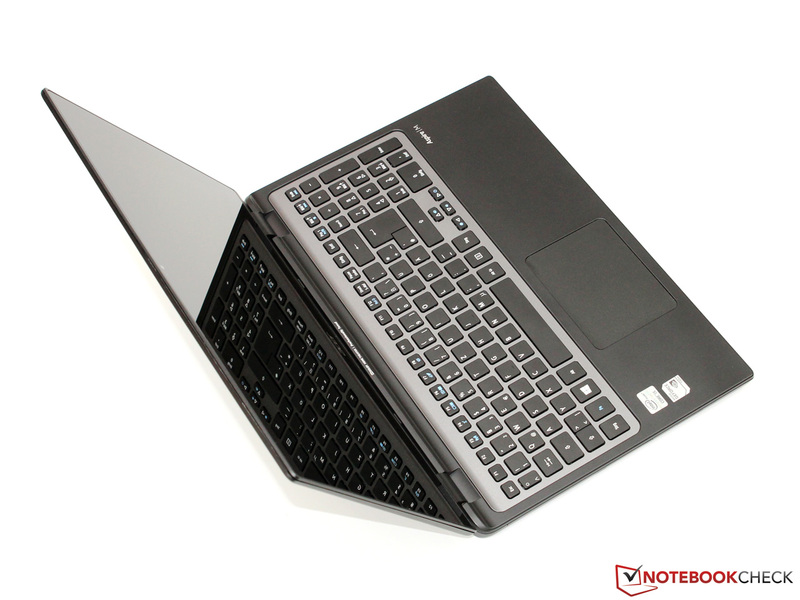 If you do not need a touchscreen, then the Lenovo IdeaPad U510 is an option.